Legacy Takes Action is at the forefront of non-partisan community health care advocacy in Texas. Our advocates have a seat at the table and see firsthand how the policy process works. As the voice of community health care in Texas, our advocates have the opportunity to meet and speak with elected officials from across the state, in Austin and Washington D.C. Join the Legacy Takes Action Network and start making a difference today. Want to learn how to be a health care advocate? 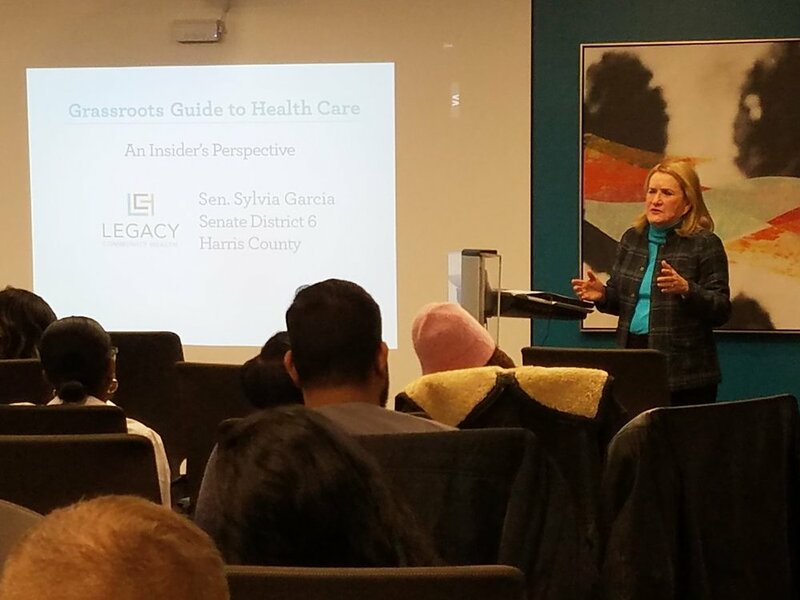 Join us at our next Grassroots Guide to Health Care, an intro-level training on the basics of health care advocacy at the local, state, and federal levels. We couldn't do the work we do without our community supporters. Sign up today to become a volunteer. We are working everyday to provide quality, affordable care in a judgment-free environment. Learn about our recent projects and help us get the word out.